Our luxury seafront lodges offer an unrivalled location, each one with a panoramic view across St Ives Bay, Cornwall and just metres away from the golden sandy beach at the front of Beachside. Each semi-detached seafront lodge has a private veranda, is fully double glazed for extra warmth and finished to a modern, very high standard. Our two bedroom holiday seafront lodges have one double bedroom and one with a double and bunk beds, ideal for two couples or a family with children. The generous open plan living and dining accommodation leads to a sheltered private veranda. Each inviting self catering seafront lodge has a fitted kitchen complete with large worktop area, plenty of storage, full-sized cooker, microwave, fridge/freezer, dishwasher and toaster. The lounge has a TV and DVD player, and the bathroom features wash basin, shower over bath, WC and an immersion water heater. Electricity in the Seafront Lodges is included in the cost of your holiday and all linen, duvets and pillows are supplied free of charge. 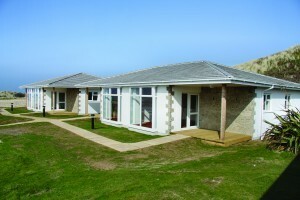 Our seafront lodges are fitted with energy efficient appliances and heating throughout. Free high speed WiFi is also included in our seafront lodges, so you can stream music or films, check your social media or plan your next day out, all from the comfort of your accommodation. As a dog-free holiday park, Beachside provides a safe and relaxing holiday environment perfect for families and couples right on the beach in St Ives Bay, Cornwall. Panoramic view across St Ives Bay. Metres away from the beach. 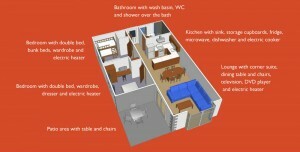 Equipped with fitted kitchens, with a large worktop area, modern utilities and plenty of storage. 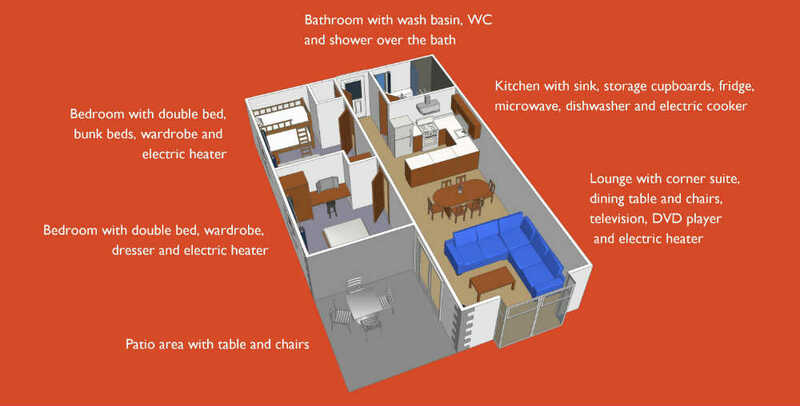 Fitted with energy efficient appliances and heating throughout.